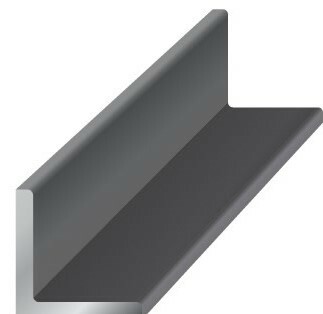 Highly popular hot rolled steel angle, also called angle iron, is used for a wide range of applications. 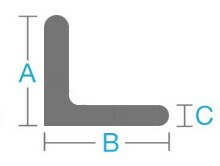 Its 90° angled shape adds an abundance of strength and rigidity to numerous projects. This product is also easy to weld, cut, form and machine. Widely popular galvanized steel angle, also known as angle iron, is used for numerous types of applications. Its 90° angled shape adds an abundance of strength and rigidity to numerous projects. Galvanized steel angle is also coated in zinc, which adds superior corrosion resistance over standard carbon steel angle. This product is also easy to cut, weld, form and machine. Industrial Metal Supply stocks a wide range of sizes of steel angle for your specific project needs. Contact us today.